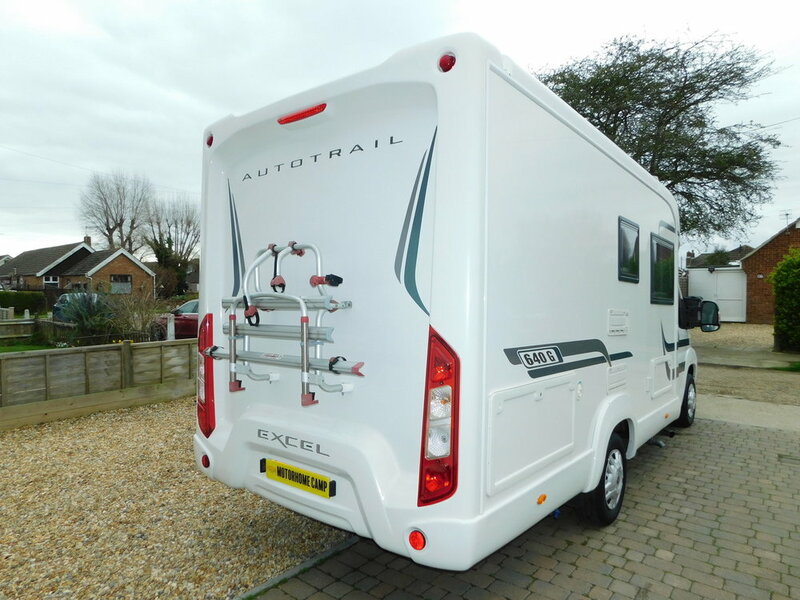 Auto-Trail Excel 640G Fiat 2.2 Multi Jet 4 Berth Motorhome in Exceptional Condition with FSH, and Only 19,000 miles from New. Located in Hayling Island. The Lounge is Open and Spacious, is finished in a Contemporary Neutral fabric that doesn’t look like Great Grandmas parlour and includes the front 2 seats that swivel to enable 4 or 5 people to sit in comfort. The Lounge then easily converts into the additional comfortable Double bed. The main Double bed is at the rear above the large Garage, and the real bonus is that you have 2 doors that open into the Garage from underneath the bed, which means that you have access without having to go outside. This is particularly useful if you have a dog, as you can imagine. 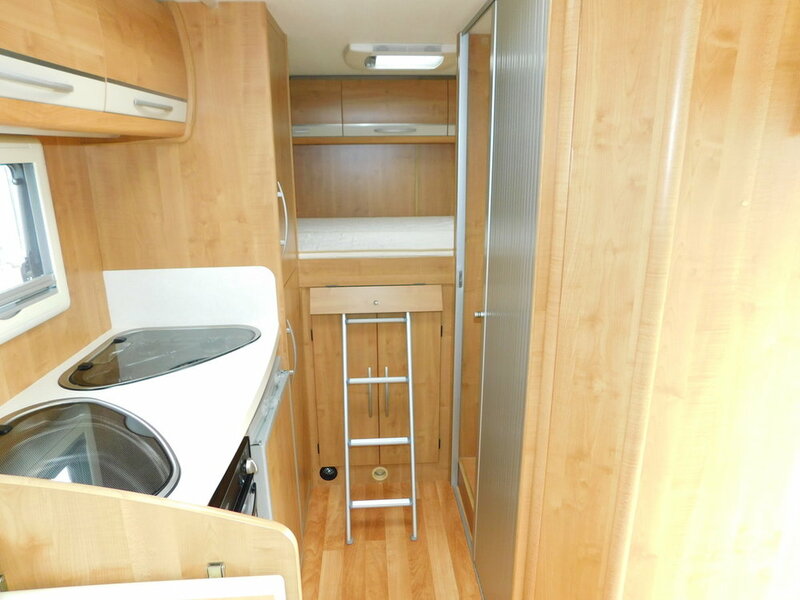 The Kitchen is spacious for such a Compact Motorhome and includes an Oven and Grill as well as a 3 burner gas hob and Sink. 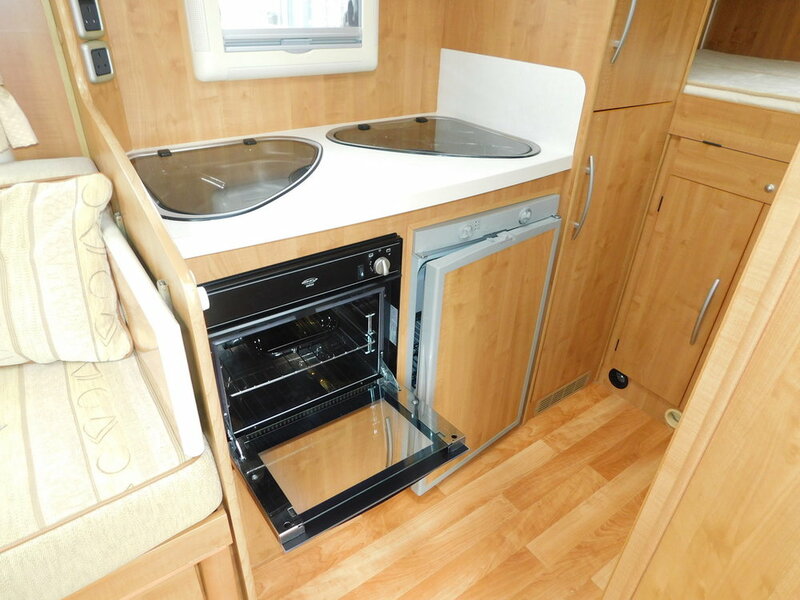 We also have a Fridge with a Freezer box, and plenty or Worktop space which includes an extra hinged fold up area. 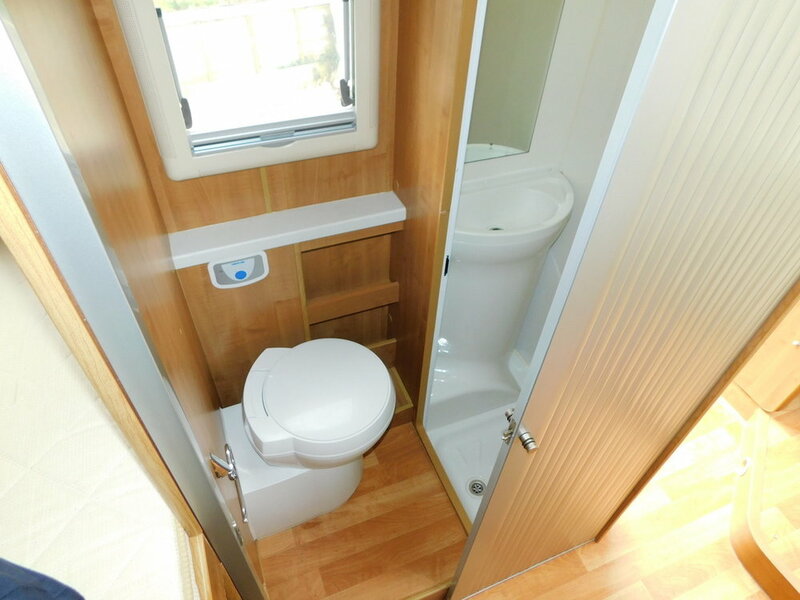 The Washroom has a Swivel Toilet with Thetford cassette as well as a Wash basin, and the Shower is a Proper Separate Cubicle with folding Perspex doors. We have Double Glazing with Luxury Folding Blinds and Fly Screens and there is Central Heating and Hot water. On the Outside we have a Large Roll out Sun Canopy Awning as well as a Bike Rack for 2 or 3 Bikes. 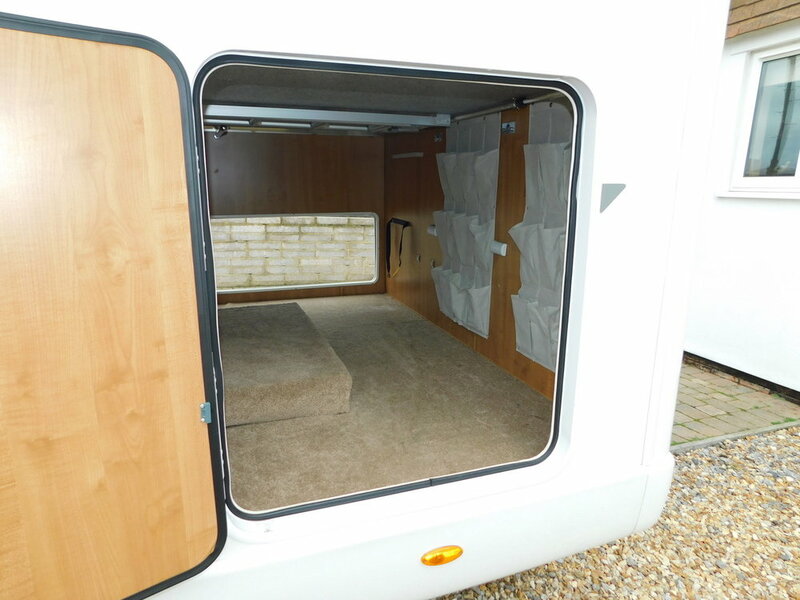 The Habitation door includes an opening window with blinds and fly screen, and the low entrance step gives easy access into the Motorhome. 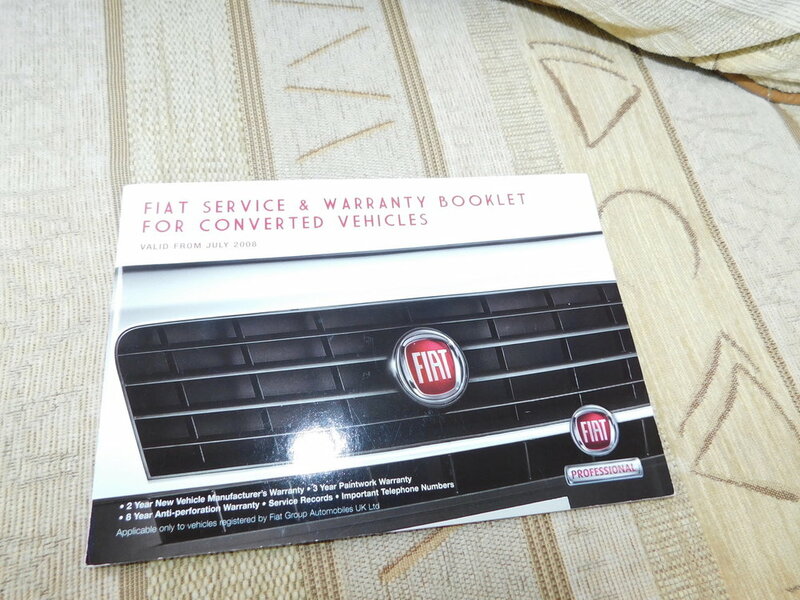 The Garage has a Large door on one side as well as an additional door on the opposite side for ease of access. 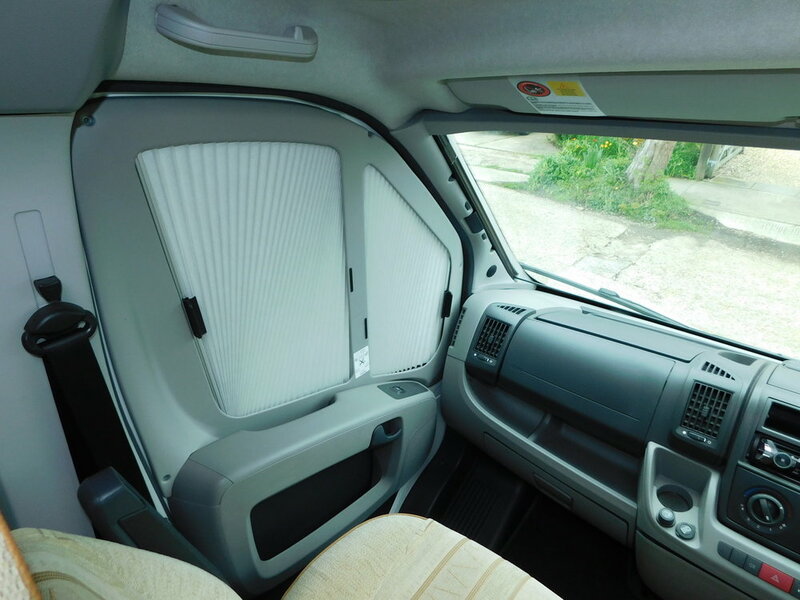 The Cab has a Radio with CD player as well as Cruise Control and Folding Remis Blinds. We also have a roof mounted Status TV Aerial. With a plated weight of 3300kgs this Motorhome can be driven by drivers of All ages as you Do Not need the C1 entitlement on your Licence. I would be happy to consider any Part Exchange of any age that you may have, so please give me (Stephen) a call on 07736 001880 to discuss and to arrange an appointment to view.